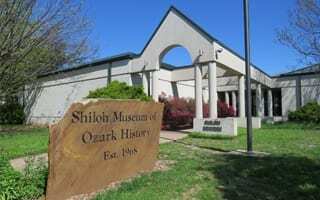 Our exhibit hall, research library, archives, meeting room, collections storage, store, and staff offices are housed in a modern 22,000-square-foot building on the original town square of Shiloh/Springdale. 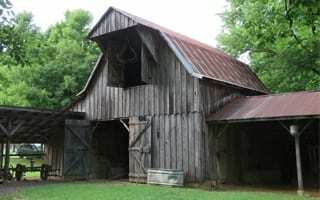 The Cooper Barn was built in the 1930s by Victor Cooper on his small farm north of Springdale. The farm equipment housed in the barn includes a wagon used on the nearby Joyner farm in 1911. The Steele General Store was built in Springdale in the 1870s by John Bell Steele. The metal porch awning was originally part of the Mooney-Barker Drugstore in Pettigrew (Madison County). 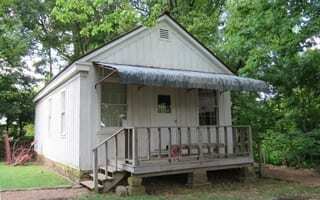 Dr. John C. Carter’s Office was built in the 1880s in the Middle Fork valley area of south Washington County. The sandstone foundation formed a springhouse for food storage. 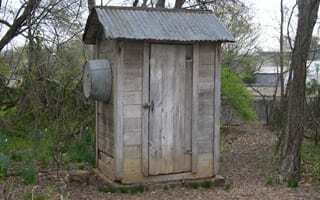 The Cartmell Outhouse was built in the 1930s by William Cartmell on the family farm near Brentwood (Washington County). It has two holes—a big one for big people, a little one for smaller people. 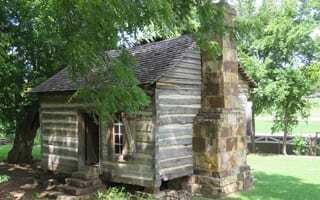 The Ritter-McDonald Log Cabin was built in the 1850s at Elm Springs (Washington County). 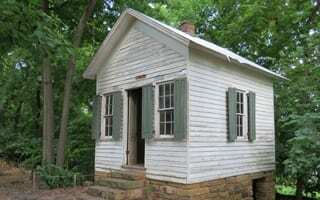 Like many log cabins, it eventually became a room in a larger house. The Searcy House was built in the 1870s by Archibald Smith. In 1884, Wesley and Canzadie Searcy bought the house. Today, it reflects the life of an upper middle class 1940s Ozark town family. 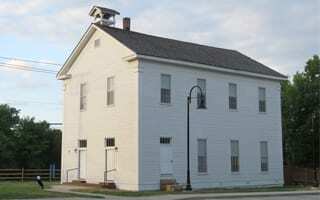 The Shiloh Meeting Hall was built in 1871 as a church and community building. Later it was home to the local Oddfellows organization. 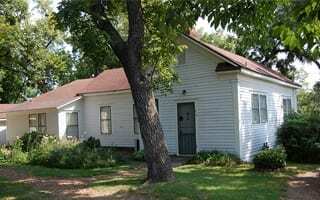 It is Springdale’s most visible historic landmark. 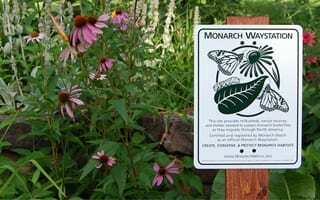 Thanks to Washington County Master Gardeners and Springdale for Monarchs volunteers, our grounds showcase native flowers, shrubs, and trees that offer food and shelter for pollinators. The Searcy House is accessible only by guided tours. However, tours aren’t available on most Saturdays and holidays. The Steele General Store is closed except when offering programming, but you can glimpse its interior from the front porch.